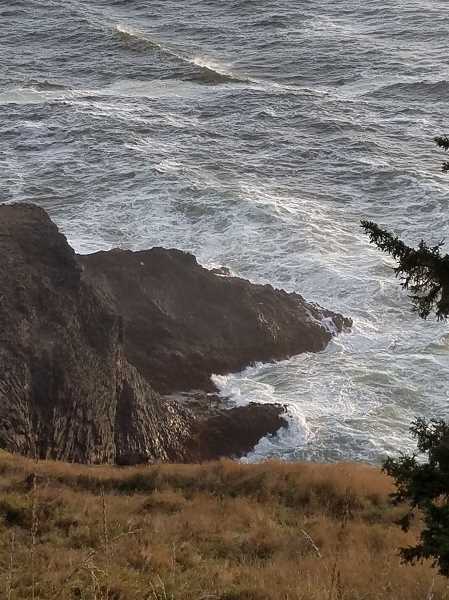 A Lake Oswego mother and father died Sunday evening after reportedly being swept out to sea off Otter Crest Loop near Depoe Bay. Investigators said Miaochan Chen, 49, and Wenjun Zhu, 41, were picnicking on the Oregon Coast with their 10-year-old daughter when they decided to follow a trail down to the rocks that overlook the ocean. A wave washed over the rocks and swept Chen and Zhu into the ocean, officials said. Their daughter, Lake Oswego Junior High sixth-grader Emily Chen, was unharmed. Oregon State Police, Depoe Bay Fire and Rescue and the U.S. Coast Guard responded to the scene around 5:30 p.m. Sunday. The Coast Guard launched a helicopter from Newport and a rescue boat from Depoe Bay. Chen and Zhu's bodies were located at about 6:30 p.m. and helicoptered from the ocean to a landing zone at Rocky Creek State Park. Life-saving measures were attempted for both Chen and Zhu as they were transported via ambulance to Samaritan Pacific Communities Hospital in Newport, where they were pronounced dead. Chen, Zhu and their daughter had immigrated to the U.S. from China in July. Family members were notified with the help of the Chinese Consulate and the Lake Oswego Police Department. The Department of Human Services placed the daughter into a foster home and said it will work to find her a permanent home, possibly with a Chinese couple who were friends of the girl's parents and who also recently moved to the U.S.
LOJ Principal Kevin Mills met with his staff Monday and alerted the school community in an email, saying a crisis response team would be deployed to the school "to speak with students and teachers who need additional support." "Our hearts and prayers go out to the family for their loss," Mills said. DHS and other governmental agencies have been in constant communication with the school district, according to LOSD Communications Director Christine Moses, and "the student is being more than properly cared for at this time." "When and if the student returns to regular attendance," Moses said Tuesday, "the LOSD and all of its staff will welcome the student back with ... a safe learning environment to ensure her future success and emotional and academic growth." For those looking for a way to help, a GoFundMe account has been set up by the LOJ Parent Club. Find it at www.gofundme.com/help-for-emily-chen.